SOS Paper carrier bags can be printed up to 8 colours. The print shown here is a process print covering the majority of the bag. We would consider this a 100% ink coverage print. The carrier bag itself is produced from a white kraft paper with white twisted paper handles. These paper carrier bags are machine manufactured bags. Printing up to full colour including spot colours. We arrange the production of unique sos twisted paper carrier bag. 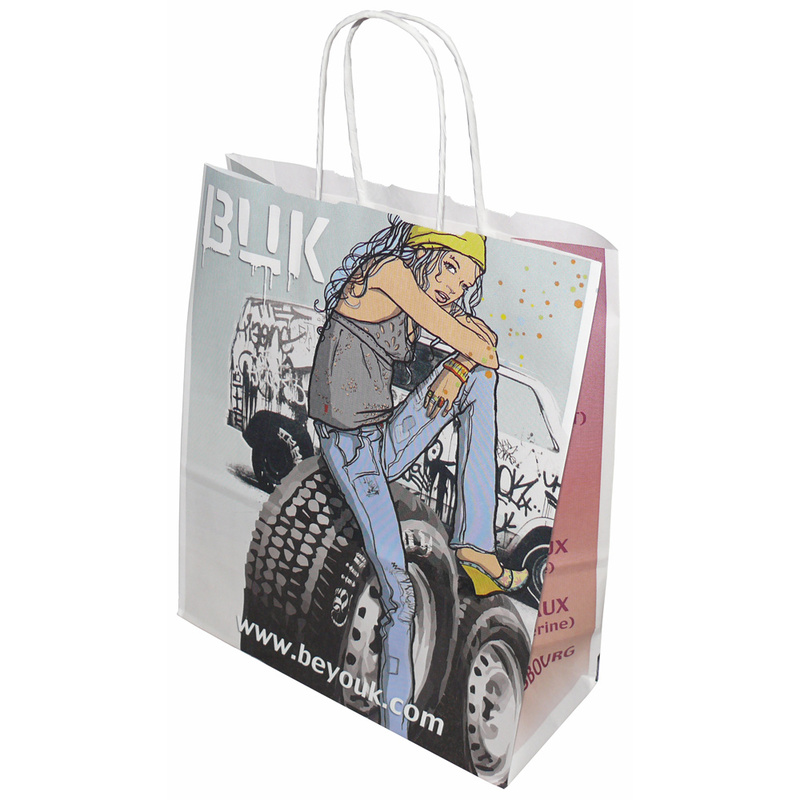 Our design team are happy to help shops buy unique sos twisted paper carrier bag. To proceed with choose by material or other , connect with our team using our contact page.